Disclosure: This post is sponsored by Dove and SheKnows. All opinions stated are genuine and my own. It's exciting to hear when a beauty routine of someone who is absolutely gorgeous already, with or without make-up, appreciates that she is, and I'll say it in her words, 'flawed but awesome!' That kind of attitude when it is genuine, inspires others to realize that cosmetics can have their role, but they're not what makes a person beautiful. It's what is inside that comprises true beauty. That's a message this young lady and Dove are both touting in this video: http://goo.gl/6ZrFWA, and I love it! It's exactly the kind of message I want my 17-year old daughter to hear and embrace. 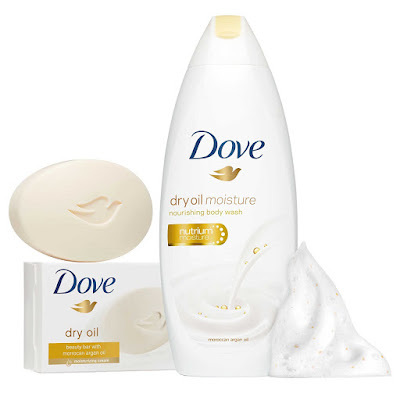 Now Dove has added a new Dry Oil Moisture Body Wash and Dry Oil Beauty Bar to their product line-up. The body wash helps to nourish and protect your skin, which is something all of us can appreciate. It's most especially awesome though, for consumers that have dry skin (1 in 3 women do!). The Moroccan Argan Oil in the body wash serves well to gently cleanse and helps replenish nutrients to your skin. The beauty bar contains 1/4 moisturizing cream and also features the Moroccan Argan Oil. It gently cleanses and cares for your skin, just the way a beauty bar should do. The quality too, is exactly what we've come to expect (and always appreciate) from Dove. The Dove Dry Oil collection features soother warm notes to transform you shower experience into an exotic escape. Wash Away Dry Skin today! These products are now being sold at mass food and drug retailers nationwide. Keep your eyes open for them, so you too can experience soft, smooth and radiant skin. You can learn more about Dove and their great products by visiting their website. You can also follow them on Facebook, Twitter, Instagram, Pinterest and/or YouTube. My skin tends to get really dry. I could use this moisture and would love to try this bar soap! I love the scent of Dove. One of my Grandma's always used Dove & her bathroom smelled like Dove, lol. To this day, I associate that scent with her! Sometimes I buy a bar just to make my bathroom smell like Dove. I love all things Dove. So very gentle to my skin. Thank you for the link to the coupon. Saving a buck is a great thing. Dove is definitely a trusted brand and I know I can always feel good about using any Dove products. This is exactly my thought! Even if I am not a lady, I love Dove products too. I love Dove products and really look forward to trying this Dry Oil version. It definitely appeals to me! Dove has the BEST smelling soap! And, I do love how soft and moisturized it leaves my skin! I have been using Dove Body Wash off and on for a couple of years now. 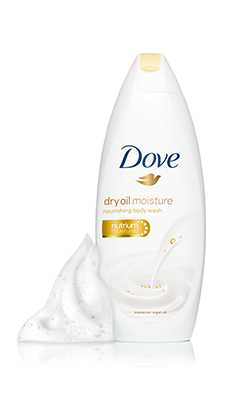 The Dove dry oil moisture is body wash I am going to have to try. Thanks for sharing the review. My grandmother has been using Dove ever since. She is already about the age of 85 but her skin really looks young. When she told me that only Dove touches her skin, I am truly amazed! That is why I love Dove! I have been using Dove since forever. It is the only brand that doesn't irritate my skin. I am looking for a new soap that doesn't dry out my skin! I will have to try Dove and see how it works for me. Dove beauty bar has been used by my family members for as far back as I can remember, and thanks to Dove and good genes, I never had problems with dry skin. I have passed on the tradition to my children and grandchildren. My infant grandson uses Dove Baby. His skin is so nice! There is always a Dove bar or body wash in my house. It is a long standing favorite because it does an amazing job moisturizing my skin. I'm really going to have to try some of their dry oil products. I've heard great things about them. Dove has been a staple in our family for years. It's perfect for people with sensitive skin! I love their new products and I've been a constant supporter of their campaigns. It's definitely made for women. Dove products are the absolute best. Nothing makes my skin feel softer or more moist than Dove. I love these body washes! Dove's an all-around name for my own set of lotions, soaps and cream. This Dry Oil collection might just replace my standard ones since summer is here and I need something more refreshing! This is one of the reasons why my wife's skin is gorgeous! She is also been using Dove products ever since I met her. Dove is a very good brand and my mom is using dove products from past 15-16 years. I always recommend dove bar to people with sensitive skin. Great review. Dove is my favorite, keeps my skin so soft! Thanks for the coupon! I love Dove products. They're some of the only ones I'll use. I love the bar soap. That's the only bar soaps we use. It works great for my whole family. I love Dove's campaigns, and products! They are all about making people feel good about themselves. My grandma used Dove and had wonderful skin. I started using it as a teen, and still use it to this day. Oh, I really hate dry skin! Dove is one of the best products that I already tried and it's been sitting in my bathroom ever since. I love Dove and have been using it for years. Now my kids and grand kids use it. No more dry skin. I have heard about these. I keep wanting to purchase one to try. I am using the Dove body washes and they smell so good and go on my skin real silky and smooth. Dove is the best beauty bars and body washes! My family is a Dove family! We love using their products and honestly I can't recall a time when I didn't have a bar of their soap by the sink or their body wash in our shower! Love dove products the soap does feel silky and leaves my skin moistureized too. The cream is awesome and the lotions love my skin! I always use Dove. It is gentle on my sensitive skin! I love Dove products. My skin is dry, and Dove definitely makes it smoother and softer. I love my Dove products. they are so good for your skin. I will ONLY use Dove soap, but I haven't tried this! I usually try the Beauty Bar or Pink Bar. I'm adding this to my shopping list! OK I need this. My skin is so dry that I can't just simply rub it when it's itchy. I love Dove. I've been using it for years. It's the only soap I trust to keep me moisturized. I love Argan oil so this is a great addition to the Dove line! I like their sensitive skin/unscented soap but I'll be checking this one out because I do use argan oil to moisturize my skin and it does wonders. I'm going to try some of their dry oil products. I've heard they are great! I need to pick some up! We are a Dove soap couple. I love how soft it makes my elbows feel, too. Ohhh I love Dove body wash. I need to give this formula a try though! I like dove.. It's a great product.. Always use it.. Their hair and body products are equally good.. I love Dove and had no idea that Dove had a new line with argan oil. I use the one for sensitive skin and so does my youngest. I will have to give this one a try because I'm sure it would leave my skin soft and smooth. I hear it really is effective. I tried the shampoo once. I got dandruff but it left my hair so silky smooth. Been using Dove products for almost a year and I really love their products! Dove is really great for delicate skin. It would really help add moisture to your skin especially now during the dry season. I need this because at age 40, I am experiencing dryness of skin. We use this and it's great. Leaves your skin so soft and not dried out. My skin gets very dry in the summer bexause of being outside so much. I love Dove products, and the moisturizer is a great product! I love Dove products especially their body wash. I've used them for so long and have always been happy with them. I love Dove products. I really need to try their dry oil beauty bar. Thanks for sharing! I absolutely LOVE LOVE LOVE Dove Body Wash! It's one of the few body wash products I use!! I look forward to trying the new body wash. It sounds wonderful and very pampering! Dove definitely makes the best skincare esp for dry skin & dry hair.. I will prefer the body wash over the soap. It helps to cleanse at the same time protect the moisture of our the skin. I am a loyal Dove user because its an effective moisturizer. However, coupons are not so common here in Phl market. 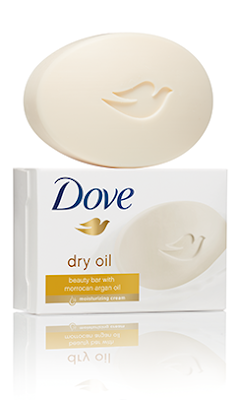 Dove has been a very popular brand of soap since my childhood. Honestly though, I never did like that soapy feeling it leaves on my skin even after rinsing. I love Dove! The soap bar is actually my family's favorite because it really moisturizes! What Dove does best- to moisturize! I am glad that despite their popularity in the market, they are still open for improvement. I always go to Dove still despite of the fact there are many competitive brands have appeared in this era. Nothing beats Dove when it comes to building up one's confidence. It really ensures that you really get what's best for your skin! Dove is such a great brand with awesome quality & I have been using their products for past few years. Such a skin friendly product & I would love to try out the beauty bar in dry oil version too. Dove is a great brand. I love to use their soaps. Dove is one of my favorite brands so I’d love to check this new body wash! My dry skin needs a powerful moisturizer! I use mostly dove products! I love dove products and as someone with dry skin this looks awesome.